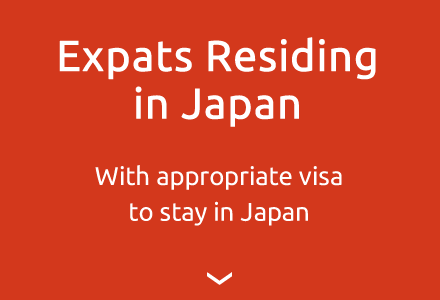 and obtain an appropriate visa required for staying in Japan. please inquire well in advance to ensure time for us to process your application. 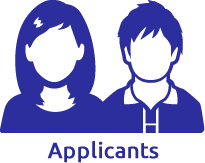 Decide the course to apply for and obtain the application form and guidelines. 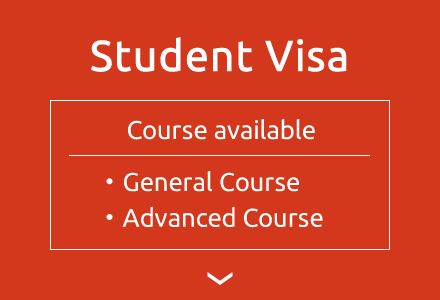 Submit application form and documents required for visa application. NJA checks the documents to ensure validity. NJA conducts prescribed admission screening. for Resident Status at the immigration office on applicants’ behalf. Result of application for Certificate of Eligibility for Resident Status informed. 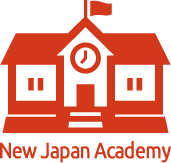 NJA informs the applicant the result and send an invoice for tuition fee. 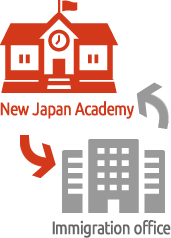 Once the payment is confirmed, NJA sends the applicant Certificate of Eligibility for Resident Status and the confirmation of enrollment. Take the Certificate of Eligibility for Resident Status and required documents and go to the nearest Japanese Consulate and apply for a Visa. 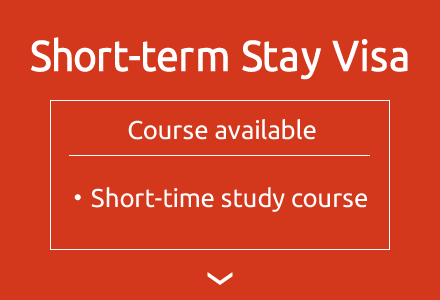 To take the short-term study course you need to apply and obtain a short-term visa. To determine the time of admission through consultation, please contact us first. 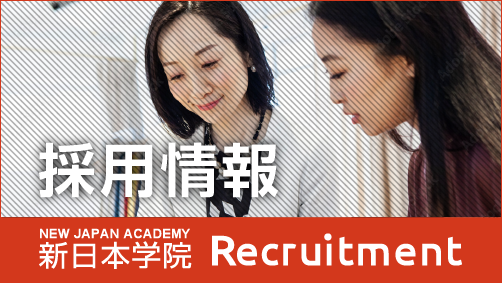 For those who already possess visas to stay in Japan, the application process is simple and straight forward. Please inquire with the date you wish to start your study. If the classes are full at the time of application you may go on a waiting list until a place becomes available so please inquire well in advance.